15 - Andrew Moser — Our Ink, Our Stories. "When we first started hanging out, I never thought I’d fall madly in love with my best friend. We fish, hike, camp, and geocache together and through all these activities we grew to love each other more then words can describe. 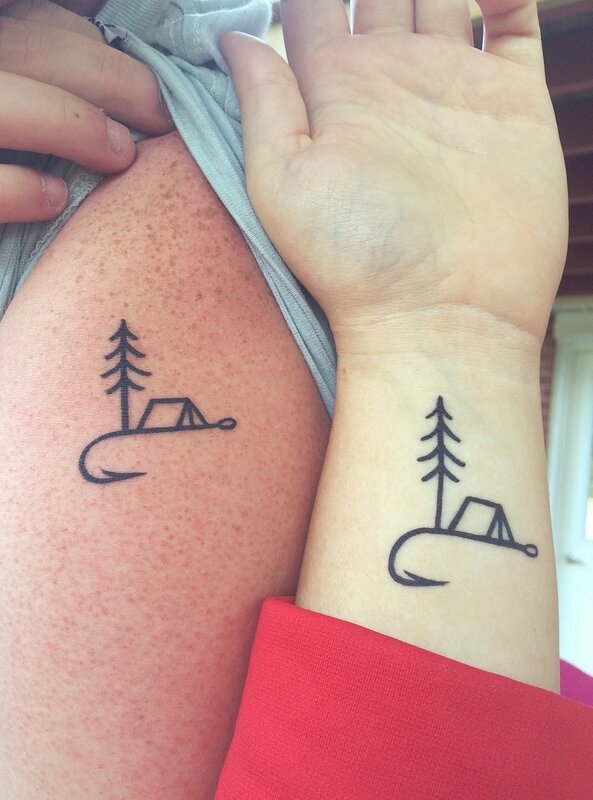 "Let’s get tattoos," we decided. Well, she wouldn’t back down, and neither would I. So these tattoos are a promise to each other, no matter how old we get, to follow our dreams, see the many beautiful sights Mother Nature has to share, and show one another unconditional love and devotion throughout our lives." Many others have found love, inspiration, beauty and solace in nature. "Birds, Art, Life" documents one writer’s search, which leads her to bird watching, in this intimate and exuberant meditation on creativity and life.